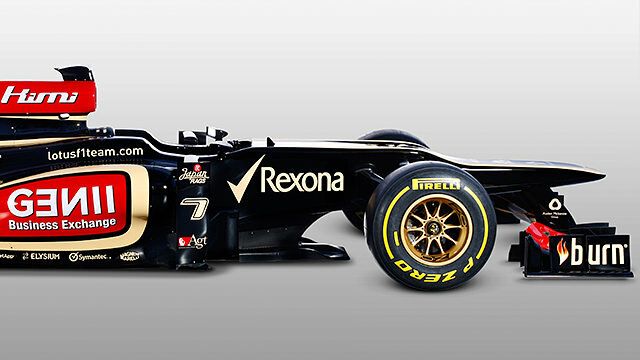 Lotus became the first F1 team to reveal their 2013 car with an online launch from the factory in Enstone. After a hurried relocation inside due to the marquee blowing down, the car was unveiled by drivers Kimi Räikkönen and Romain Grosjean, who both spoke of their hopes for the coming season. Team Principal Éric Boullier targeted third in the championship for the coming season. The car did not look too different from its predecessor, with the stepped nose still there. The main change was an increase of red on the livery.